Waterloo – Three Wilfrid Laurier University professors who have achieved excellence in their fields have been awarded prestigious Canada Research Chair appointments. 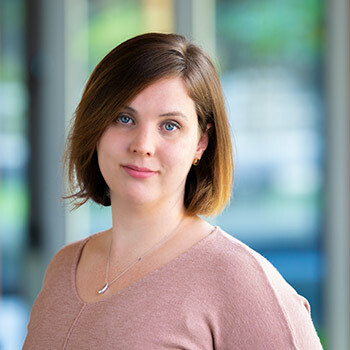 Audra Mitchell, an associate professor in the Department of Political Science, has been newly appointed as the Canada Research Chair (CRC) in Global Political Ecology (Tier 2). Two other Laurier professors have had their CRC appointments renewed. Jörg Broschek, also an associate professor in the Department of Political Science, will have his Tier 2 Canada Research Chair in Comparative Federalism and Multilevel Governance renewed for an additional five years, while Roderick Melnik, a professor in the Department of Mathematics, will have his Tier 1 Canada Research Chair in Mathematical Modelling renewed for seven years. The announcement was made in Toronto by the Honourable Kirsty Duncan, minister of science and sport. In total, the Government of Canada is investing $156 million to support 187 newly awarded or renewed Canada Research Chairs at 49 institutions across Canada. One example of this violence is environmental racism, which breaks down relationships between Indigenous communities, plants, animals, land and water by offloading environmental harms disproportionately onto these communities. Environmental racism is one form of structural violence Mitchell is examining – along with settler colonialism, genocide, extractive capitalism and land-based gendered and sexual violence – that drives global patterns of plant and animal extinctions. As a Canada Research Chair, Mitchell will continue to collaborate with Indigenous thinkers, researchers, community organizers and land and water protectors across Turtle Island (North America), Australia and elsewhere to show how dismantling structural violence is essential to combatting plant and animal extinctions. She hopes that this work can directly support and centre grassroots, Indigenous-led efforts to stop extinctions and strengthen communities harmed by global structural violence. Broschek, as the Canada Research Chair in Comparative Federalism and Multilevel Governance, has been comparing how federal systems and more encompassing multilevel spaces of political and economic integration – such as the European Union and North America – adjust to new international and domestic challenges. His work is embedded in the longstanding and emerging conversations about the nature of federalism in Canada and abroad. A particularly significant focus of his research is how federal states engage in and negotiate multinational trade agreements. Since commencing his CRC at Laurier, Broschek has been principal investigator on an Insight and a Partnership Development grant from the Social Sciences and Humanities Research Council of Canada (SSHRC), and co-applicant on a successful Connection Grant. His funded research projects examine the long-term effects of institutional reforms in federal systems (Australia, Canada, Germany and Switzerland) and the changing role of states and provinces in North American and European trade policy. To carry out his research, Broschek has developed collaborations in North America, Europe and Australia including not only academics from Canadian universities and abroad, but policy practitioners and stakeholder organizations such as the Forum of Federations. Melnik is Canada Research Chair in Mathematical Modelling, director of the MS2Discovery Interdisciplinary Research Institute and head of the M2Net Lab. He collaborates with mathematicians, scientists and engineers around the world, as well as with government, not-for-profit and private sector organizations. Melnik is working to develop mathematical models, supporting theories and tools to describe and analyze several classes of physical, biological, and social systems. His work has applications in several areas of science, including biomedicine and biotechnology, nanotechnology, optoelectronics, and environmental technologies. Melnik works in four main areas: mathematical models for environmental solutions in green economic development, with focus on the nanoscale; multiscale approaches for biological systems with medical and life science applications; stochastic models with applications to problems with non-physical interactions, such as finance and risk; and data-rich applications, including knowledge integration, social systems and networks. In the last seven years of holding his CRC, Melnik published more than 90 papers in peer-reviewed journals, as well as many conference papers and book chapters. He frequently speaks around the world, serves on the editorial board of multiple international journals and reviews papers for more than 40 journals.